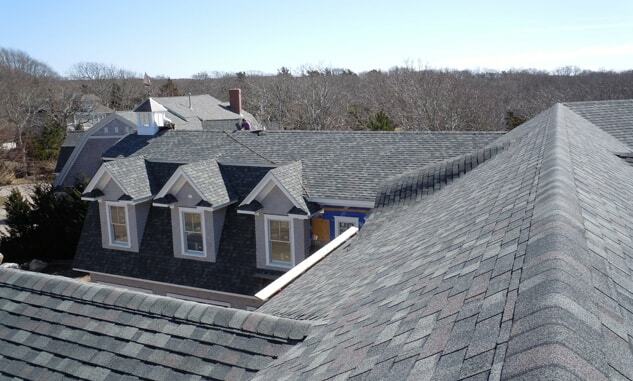 Sure, there are plenty of options for those needing roof repairs or roof installations in Lexington, MA, but none that surpass the level of expertise of the certified roofers at On Top Roofing Company. 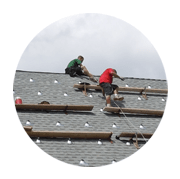 We do both residential and commercial roofing jobs and regularly work with asphalt, slate, metal, tile, wood shakes, and even “green” roofing options. We provide clients with affordable roofing systems of the highest quality, which are constructed from the best materials and are expertly applied to give long-lasting results. We stand behind our work with extended warranties on materials and a 10-year written labor warranty, which is best roofing labor warranty offered in our service area. Through years of experience in roofing installations and roof repairs, we’ve developed a 7-step process that ensures a successful project. This includes your participation all along the way, from the original survey and detailed cost estimate through to the final inspection after all work has been completed. At this point you’ll receive your written warranty information and some helpful maintenance tips. An important part of this survey includes the inspection for roof rot and an examination of the current ventilation system in the attic area. In addition to roofs, we also do downspouts and gutters. Commercial work includes flat roofs, metal roofs, single-ply membrane, low slope roofs, TPO (Thermoplastic Polyolefin) and EPDM (Ethylene Propylene Diene Terpolymer). You can easily request a free estimate by filling out this thirty second form or just give us a call at 508-299-7663. If your home or business is within the 60-mile service radius of our offices in Worcester, we’d love to hear from you so that we may schedule a time when we can meet and provide you with a free estimate for the work you need done. We also offer emergency roof repairs in an expedited time frame.